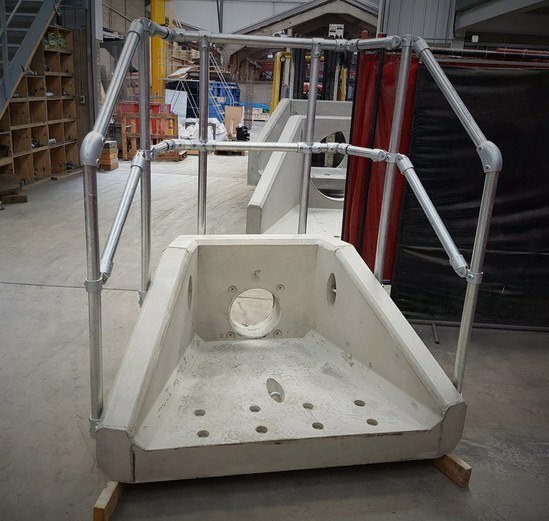 The SFA6 is a Sewers for Adoption precast concrete headwall suitable for internal pipe diameters of up to 300mm. 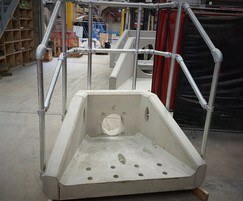 It is designed for applications where a smaller than normal footprint is required. The headwall is available in a choice of three backwall heights and three wing wall profiles. Toe depths up to 1000mm are available in 300 or 500mm thicknesses. Factory-fitted accessories include gratings, flap valves, Kee Klamp handrails, penstocks and flow control devices.